To avoid making this page too complicated we only list here the original UK LP release plus the "Definitive Edition" CD re-issue of the album. The 2008 CD/SACD & DVD re-issue features new mixes of the album by Nick Davis and the DVD also includes interviews filmed in 2007 with Ant, Peter Gabriel, Tony Banks & Mike Rutherford about the album. 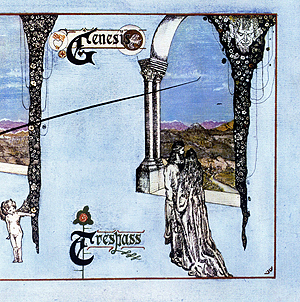 CD/SACD & DVD re-issue (included in the 1970 - 1975 Genesis box set).